Yup. It's here. At long last, I've actually done something. 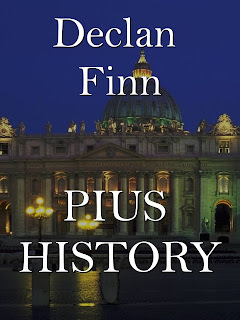 A few elements about the creation of Pius History and it's creation. First, this one is short. It's about 100 pages. Why? Because, again, this is not a massive, in-depth book. These articles are are snapshots. Call them vignettes of history, if you will. These are what inspired me in the creation of the Pius Trilogy. So, obviously, a 100 page nonfiction is not going to be priced the same as, say, a full novel. Why? Because it's so freaking short. Duh. Usually, when I self publish a novel, I get about $4.00 a paperback. Why? Because the production costs are are at least $6.00 a unit now. Yes, I know, it's getting stupid. If future novels become shorter, this might be part of the reason. But, honestly, my books keep getting longer. Odd. Also, on the other hand, Amazon wants their cut. Order it from Createspace, I get more money. Order from Amazon, I sell more, but get less. And if, Heaven forbid, an actual brick and mortar store deigns to have me on the shelves, I make a whole $3.00. In this case, I'm making Pius History $9.99 in paperback. Amazon gives me $3.84. CreateSpace gives me $5.84. And brick and mortar locations? $1.84. 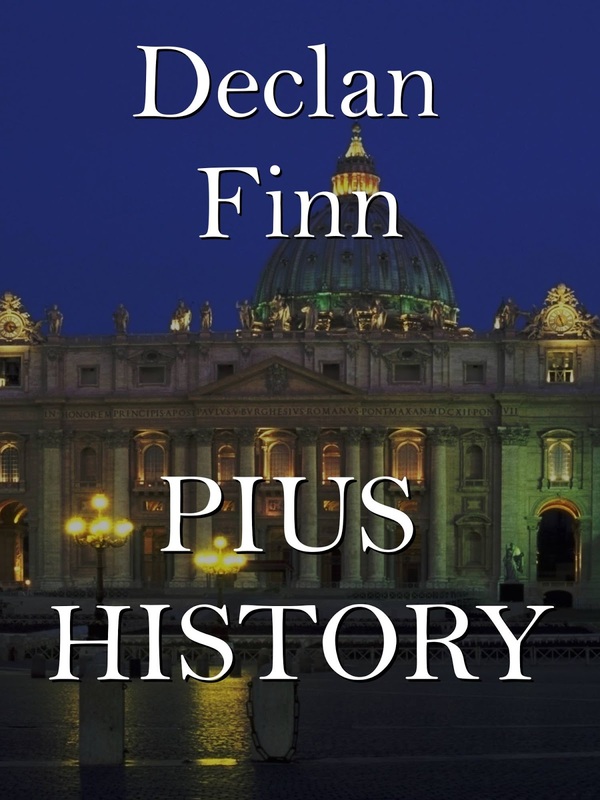 Kindle Direct Publishing, on the other hand .... suggests that Pius History be $4.99. Yeah. I don't know why either. Because nonfiction is priced more? I don' t know. I'm going to go with it for right now, on the assuming that Kindle knows more about what the bleep they're doing, since I don't. And, I make ... $3.46 a unit. Again. The same as with paperback. Okay, if that's something that Amazon had planned, that is a cute trick. With Burning Anxiety, about Pius XII. Sudanistas, which is the back story for Pius XIII. The Guide to the Weapons of A Pius Man ... okay, that part is obvious. This Troublesome Priest, which is something about the bad guys for The Pius Trilogy. Each of these are over two dozen pages, and the footnotes are something you might want to take a look at. No, I will never say that these are the last word on any of these subjects. I even make recommendations in the book. And if I don't, you can figure out which one is which by how often I cite individual items. It'll be interesting to see what happens with the sale. If things go well, next Sunday will be For All Their Wars are Merry. If they don't, it'll be released the Sunday after. For the record, please remember, PIUS TALES IS FREE TODAY, TOMORROW, AND THE DAY AFTER.